What happens when a bank takes over a rental property after foreclosure? In many cases, they are failing to live up to their legal duties. Tenants and regulators report banks that become landlords are not following local and state housing codes, and tenants often don’t know whom to contact to report problems. In Oakland, Calif., one tenant reported water leaks so bad that part of the ceiling fell in. Vandals broke windows. And with broken plumbing and exposed electrical wires, the bathroom is too dangerous to use, so he nailed the door shut. 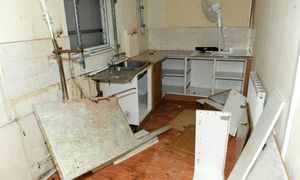 The previous owner was renovating the unit when he was foreclosed upon by the bank. Even more shocking: the bank neglected to pay the water bill for the multi-unit building, so the utility company shut off everyone’s water. The tenant, a single dad with four kids, tried to pay his part, but was refused. With no water in his home, the tenant was compelled to steal one from a vacant home and reinstall it in his. Another tenant in a bank-owned rental home in Maryland is living with an infestation of bedbugs. After the management company wouldn’t take care of the bedbugs and other problems, she and other tenants tried to find the landlord. They finally did, and were granted a meeting with the finance company who owned the building. 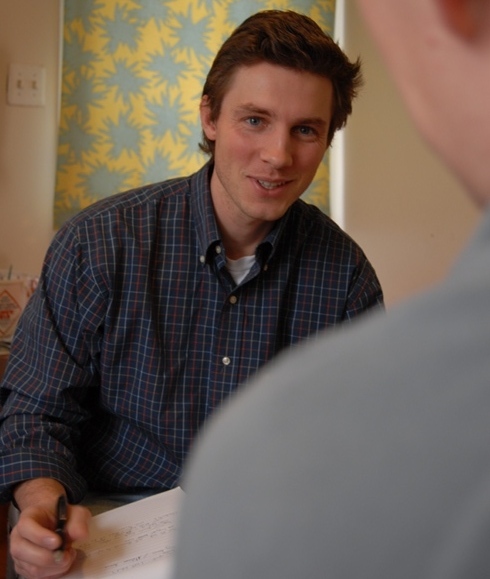 Eventually, tenants were successful in getting some of their issues resolved. But the bedbugs remained untreated. Tenants were forced to sue. Some banks do hire property managers to handle foreclosed properties. But with so many foreclosures being bought and sold, it’s difficult to track who is responsible for what. The problem is so widespread that the U.S. Treasure Department recently warned banks that thy must fulfill their legal duties as landlords. This is just another example of how the face of housing is changing as a result of the housing bubble and subsequent collapse. States don’t know exactly how to enforce housing codes with banks. Some are drafting guidelines to deal with the problem. In the meantime, honest and professional landlords continue to provide safe housing for their tenants, while many tenants are powerless and living in squalor. 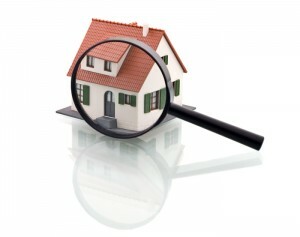 Protect your rental property and assets through tenant background checks. Proper tenant screening will ensure you are leasing to the best possible tenants. When you screen prospective tenants for your rental properties, do you suggest that they obtain renter’s insurance? Many landlords go beyond suggesting, and make it a condition of the lease—and for good reason. Renter’s insurance can protect you and your tenant. Not only does renter’s insurance safeguard the value of your tenant’s property from theft or damage, but it also protects them from liability for accidental injuries or damages to the property of others. For example, if a tenant’s bathtub overflows, he or she would be liable for any water damages to the building and for any harm suffered by the neighbor below. With renter’s insurance, the tenant doesn’t have the worry or burden of paying for repairs or replacing damaged property. While your landlord’s property insurance will typically cover your rental property in the event of a fire, it will not cover your tenants’ property. With renter’s insurance, tenants can get help with temporary housing, and replace their furniture, household goods, clothing and personal belongings. And if that fire were caused by a tenant’s negligence, renter’s insurance would cover the tenant if your insurance company demanded reimbursement of damages paid. In addition, renter’s insurance can offer a layer of protection for landlords whenever visitors are on the property. A visiting adult or child could trip, fall or slip, resulting in injuries. When the tenant has renter’s insurance, their visitor can seek damages from the tenant’s insurance company, instead of yours. Renter’s insurance is usually an affordable way to gain a great deal of peace of mind. At only $15 – $20 per month, most tenants who qualify for your rental property will find it reasonable. And if a tenant claims they can’t afford renter’s insurance, how does that make you feel about signing a lease? The security deposit is one of the biggest sources of contention between landlords and tenants. Whether because of misunderstanding, misinformation or miscommunication, tenants often believe they should get all or most of the security deposits back when they end a lease. And landlords often have legitimate reasons why they should not. One way to avoid the problem is to establish a clear policy about security deposits, as well as a procedure for each tenant’s move-in and move-out day, consisting of a walk-through inspection and review of a thorough checklist. Before a new tenant moves his or her belongings in, arrange a walk-through of the rental property. Use a checklist to note the condition of everything in the apartment or house: walls, flooring, ceilings, bathroom fixtures, plumbing, appliances, light fixtures, doors and windows, locks, doorknob and hinges, blinds and everything else in each room. Take photos, as well. 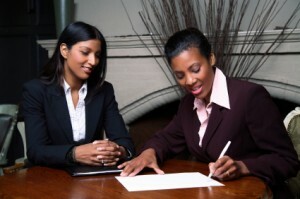 Then, you and the tenant sign the document, agreeing to the condition of each room and item. You can download a move-in checklist here. After you receive notice that the tenant is moving, arrange another walk-through. Schedule this for about two weeks before the last day of tenancy. Take a look at each item on the move-in checklist, and give the tenant notes about the current condition. Two weeks will give the tenant time to clean, replace broken or missing items (such as broiler pans, window blinds or door handles), and generally get the place ready for your final inspection. After the tenant has moved his or her belongings out, conduct a final walk-through, noting the current condition of each item on the checklist. Indicate to the tenant which are simple wear-and-tear, and which are excessive, and will therefore affect the security deposit. Take photos, and have the tenant sign the document. Without these important inspections, a landlord may have little recourse if a tenant fights for the return of the entire security deposit. Owning rental property is not always an easy way to make money. But it doesn’t have to be drudgery, either. Enjoying your role as a landlord is completely possible, when you follow these simple tips for success. Practice patience. It takes a great deal of patience to be in this business. Tenants are people, with problems and struggles. Not all tenants will treat your property exactly as you would. Not all tenants are great at following through, paying rent on time or parking in the right spot. They might drive you nuts, but they are your customers, who make it possible for you to have a rental business. Be patient when they’re upset, and be patient when you’re upset. Breathe and count to ten. Enforce the rules. If you don’t take a strong stand with your tenants, you will lose control quickly. Sometimes (well, often) you have to say, “no.” You have a legally binding agreement with your tenants, and when you don’t require them to uphold their end of the lease, the relationship becomes something less than business. It could have ramifications down the road, especially in evictions and other court actions. Enforce the rules equally. Making exceptions to a rule, such as offering an extra day on paying rent to Tenant A and allowing Tenant B to grill on the patio—when your lease clearly forbids each of these activities—is asking for trouble. Not only is this type of action a slippery slope (before you know it, everyone is grilling on their patios), but even more important, it could be interpreted as a form of discrimination. Here’s why: what if Tenant C needs to pay her rent a day late, too, but you refuse to allow it? What if she thinks it’s because you are showing preference to Tenant A based on race, creed, color, religion or marital status? Whether you intend it or not, perceptions can often lead to charges of discrimination and even lawsuits. Listen. Landlords need to be good listeners. When tenants feel heard, they feel respected. A little respect goes a long way toward establishing good landlord-tenant relationships. Screen every tenant applicant. Conduct tenant background checks, credit checks and reference checks on each person over 18 will be living in the rental unit. Landlords who make exceptions to this rule can be seen as discriminating against certain applicants (see #4). Plus, they usually live to regret it. “I’ll never do that again,” is a frequent lament from landlords who fail to conduct tenant background checks. Your business and the safety of your tenants are too important to ever skip this step. Where do landlords draw the line? Are they responsible for acting as noise police? Are landlords even allowed to address noise in a lease? And who decides what noise level is acceptable? The short answer is that landlords may include excessive noise clauses in their leases. Some leases may specify that stereos are not to be played at high volume. Others may ban musical instruments such as electric guitars or drums, and vocal or instrumental practice or instruction. It makes sense that tenants would complain about a piano or trumpet teacher living next door, but what about the kid down the hall who needs to practice her clarinet? As a landlord, you may ban that type of noise, as well. If you’re hearing complaints on this subject from your tenants, you may need to add a noise clause to your lease. It could be as simple as not allowing any noise that disturbs other residents, or that can be heard outside the unit. Unfortunately, many tenants don’t seem to be mindful of others, and those who are careful about not being too loud have to sometimes put up with noisy neighbors. And while you can’t stop a baby from crying, you can prevent noise pollution in the form of a fourth-graders’ clarinet practicing (which could be nerve-wracking), a garage band rehearsal, or a DJ practicing her skills at all hours of the night. As in any lease clause, follow through is most important. Be careful not to allow any exceptions to the rule, or you could be seen as treating one tenant differently than another, which could lead to accusations of discrimination. When tenants don’t feel heard, and want to enforce their right as a group, they sometimes form a tenants’ association. Through a tenants’ association, they may feel they can better make their voices heard and improve their living situations. If your tenants decided to form an association, how would you react? Would you be surprised? Should you be worried? Or would you be angry? While the vast majority of landlords treat their tenants fairly and with respect, and take care of their properties (after all, they are investments), there are those who don’t, and who may respond more quickly when tenants exert a little pressure. So, what can a good landlord do when tenants form an association? Establish a line of communication with the leaders of the association. Show an interest in their concerns. Fix what’s wrong. If you can’t make necessary repairs right away, explain why and set a date when they will happen. Allow the association to use common areas for their meetings, as long as you allow other groups to use them. Don’t discriminate against members of the association, and don’t offer incentives to new tenant to not join the association. Check your local and state laws regarding tenant associations. You may be subject to specific regulations. While tenant associations may not be landlords’ favorite groups, they don’t have to instill fear. Talk to your tenants, take care of their legitimate concerns, and you can improve your relationship for the long run.